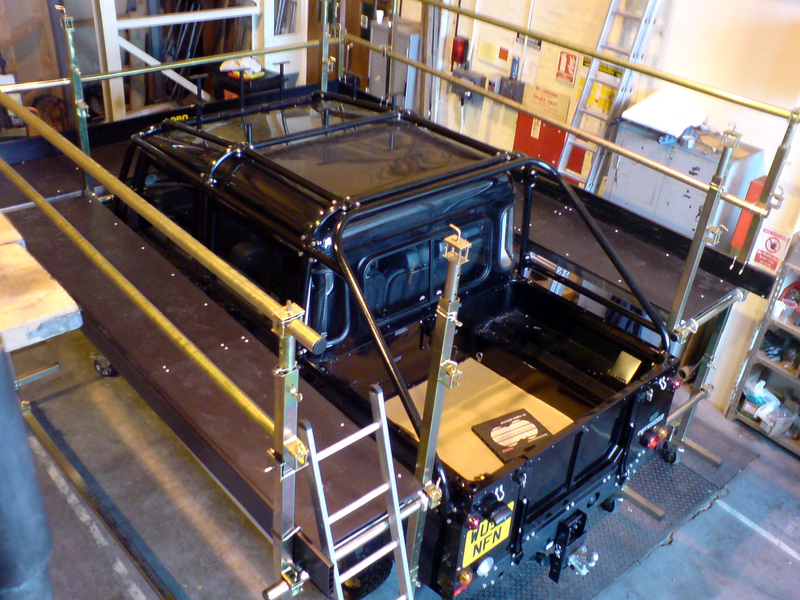 The LOBO Work Platform System in use across the automotive manufacturing sector. Automotive manufacturers are required to implement working at height policies which reflect current safety standards and drive plant efficiencies. Scaffolding and tower systems must meet HSE and OSHA regulations on safety and operatives must be trained to be competent. 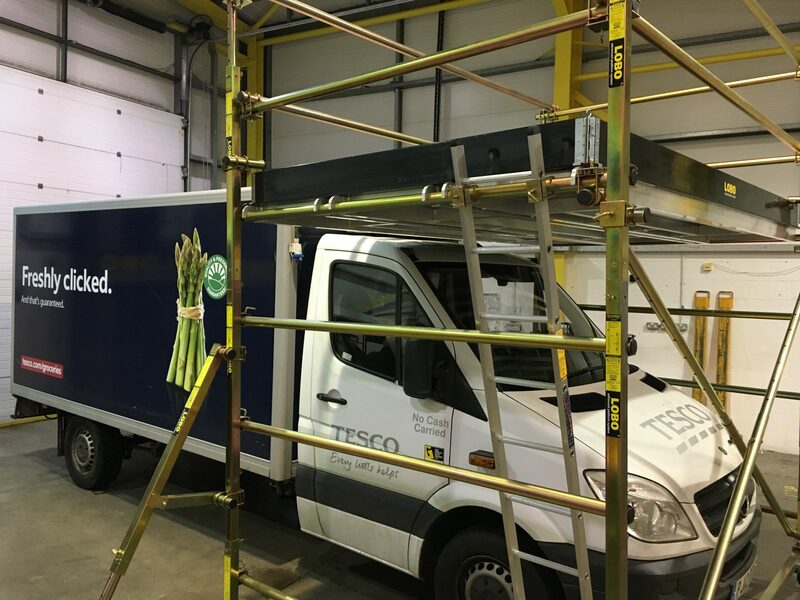 Traditional scaffolding is too heavy and cumbersome, while aluminium towers do not always meet their safety regulations. LOBO Work Platform Systems’ safe and secure product is a state of the art advanced work platform system. The unique and patented clamp allows the system to be assembled without the use of tools into any shape or size. This allows maintenance crews to attach a guardrail at any point on the system and therefore personnel are not exposed to the risk of a fall during assembly. By attaching a guardrail from a lower level, before it is needed, a safer system is built. 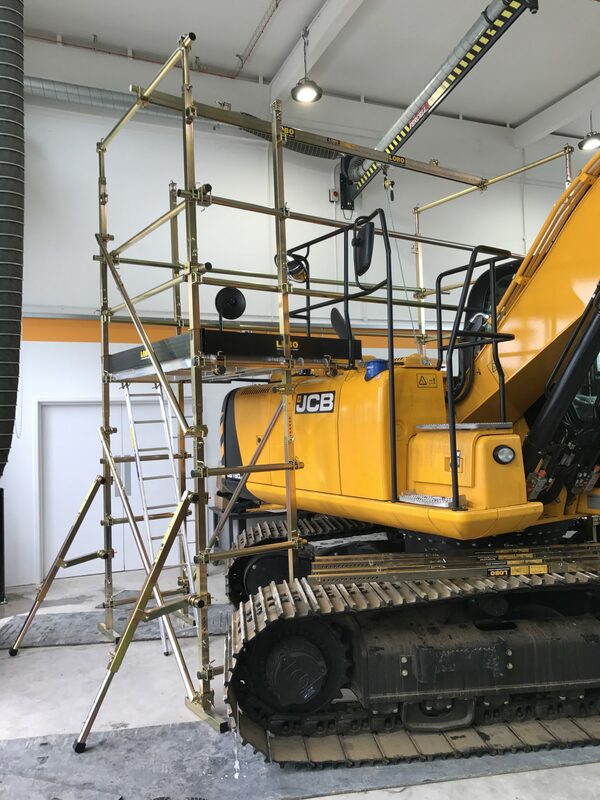 This unique versatility of the LOBO System brings a safe working procedure, which not only meets HSE requirements, but also meets the automotive industries’ tough safety policies. The use of a body harness can now also be revisited and under certain conditions relaxed completely. The LOBO Scaffold System also brings cost reduction and enhanced efficiency & performance as maintenance crews can build their own platforms at any time. The LOBO Access System creates a safe working environment, which increases productivity and maximizes the return on investment. Design illustrations are simple and cost effective to create using LOBO Configurator. General Motors, Nissan, Toyota, Mercedes Benz, Jaguar Land Rover.